Location. 38° 32.273′ N, 76° 58.993′ W. Marker is in La Plata, Maryland, in Charles County. Marker is on Crain Highway (U.S. 301) south of Hawthorne Road, on the right when traveling north. Touch for map. Marker is at or near this postal address: 6330 Crain Highway, La Plata MD 20646, United States of America. Touch for directions. 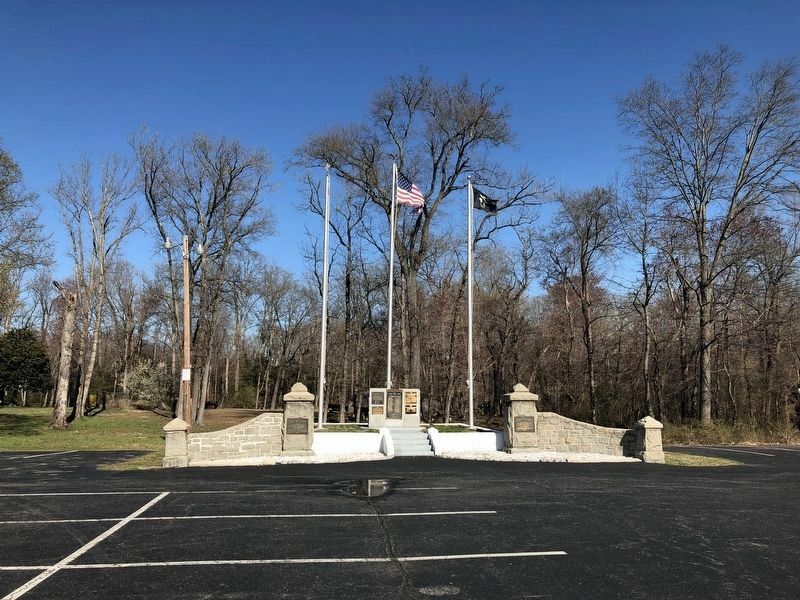 (here, next to this marker); Honor Roll (here, next to this marker); Charles County World War I Killed in Action Memorial (here, next to this marker); Charles County World War I Enlisted Military Memorial (here, next to this marker); Old Durham Church, Episcopal - 1692 (approx. 0.6 miles away); Christ Church Episcopal (approx. 0.6 miles away). Touch for a list and map of all markers in La Plata. More. 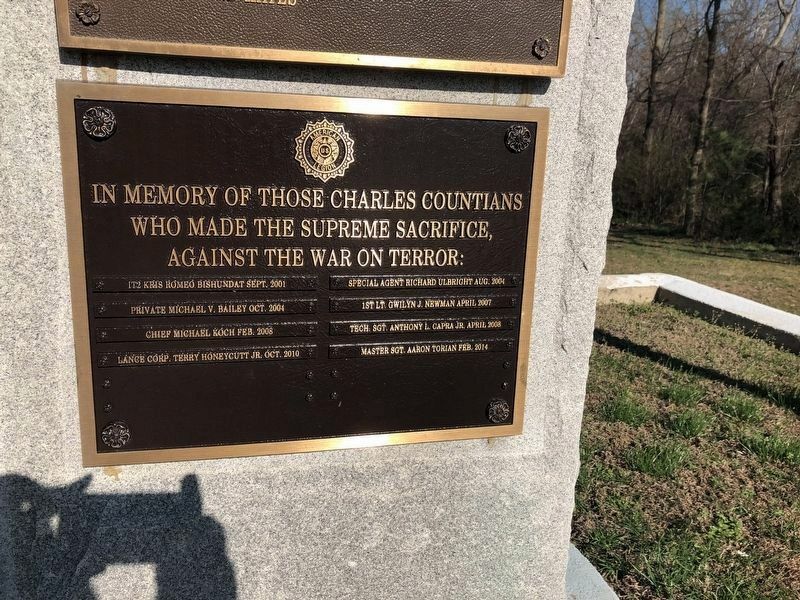 Search the internet for Charles County War on Terror Killed in Action Memorial. Credits. This page was last revised on March 31, 2019. This page originally submitted on March 31, 2019, by Devry Becker Jones of Washington, District of Columbia. This page has been viewed 43 times since then. Photos: 1, 2. submitted on March 31, 2019, by Devry Becker Jones of Washington, District of Columbia.